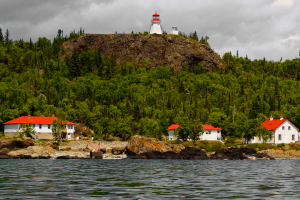 Slate Islands Provincial Park is our brilliant gem on the waters of Lake Superior. Approximately 12 km (7.5 miles) south of Terrace Bay, on the Canadian North Shore of the Lake, Slate Islands Provincial Park is a 7 km-wide (0.6-miles) archipelago touched by a history of logging, mining, early Oneota and Iroquoian campsites, and a resilient herd of woodland caribou that migrated over by ice bridge most recently in 1907. 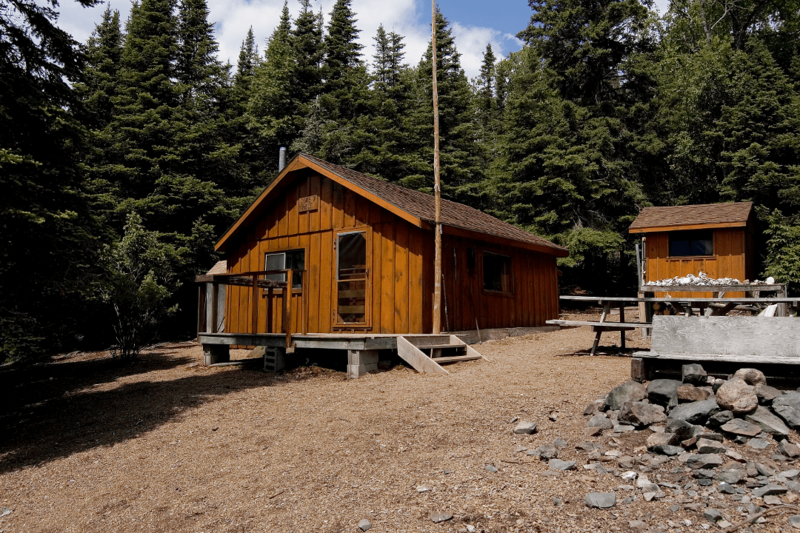 Whether being a tranquil haven for the herd of woodland caribou, a great place for fishing or a peaceful hiking spot through the web-like caribou trails across the islands, visiting the Slate Islands is a unique experience for those that take the journey! To explore the Slates, visitors first need to plan their adventure or charter a boat for the crossing. 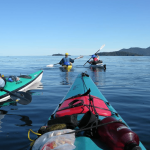 If you are an experienced and strong kayaker, you can make the crossing by kayak. 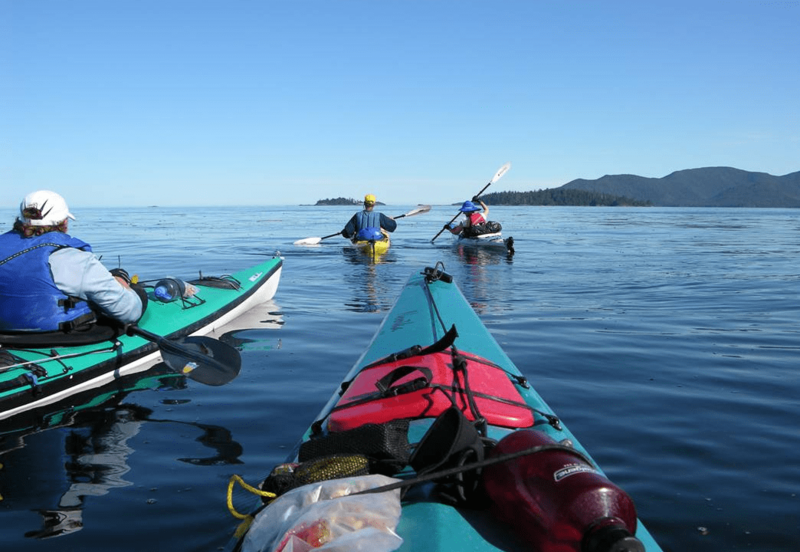 However, it is very important—due to the changing weather conditions on the Lake—that kayakers have a back-up mode of transportation available to support a crossing. In the event of any difficulties, while very uncommon, it is important that visitors also pack food and bring shelter when making the trip. 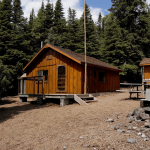 Before camping on the Slates, non-Canadian visitors must first purchase a crown land camping permit. 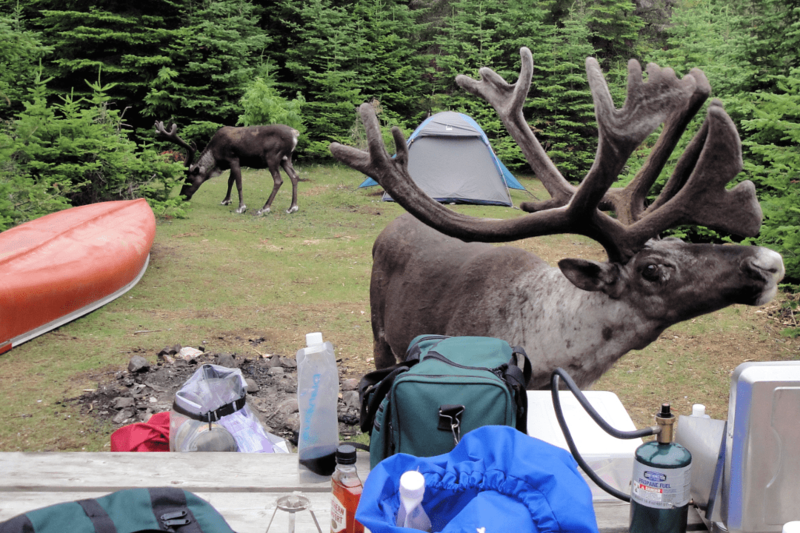 In order to preserve the Slates for the caribou, please do not leave trash on the island, use the existing campsites and do not create new campsites in other areas (backcountry camping etiquette). A great fact about the Slates, with complete lack of light pollution and the right atmospheric conditions, visitors are able to experience the Northern Lights without having to travel so far up north! 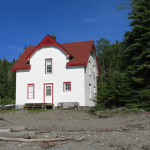 At present, there are no facilities on the island, with the exceptions of the Lighthouse and Lighthouse Keeper’s Residence. 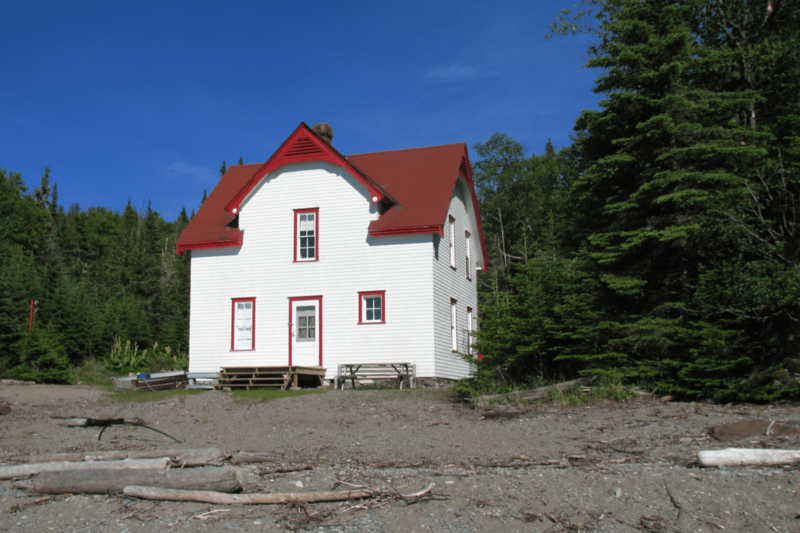 If visitors wish to head up to the Slate Islands Lighthouse, please contact Bob Bryson at (807) 823-0101—the Brysons are the family of the last official lighthouse keeper and currently maintain the property. For visitors interested in fishing (permits are required for resident and non-residents), there are healthy populations of lake trout in and around the archipelago. The Slate Islands are home to a beautiful and majestic herd of woodland caribou. The caribou, while calm and passive around humans, are still shy by nature, but do make appearances across the islands for lucky visitors. There are exceptions to this however, as they’ve been also known to stroll into campsites to feast on the ashes of finished campfires—a tendency unique to their herd. 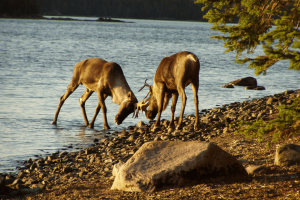 Since coming to the islands, the caribou have been predator-free for more than a century, apart from a few recent wolf crossings when other, newer ice bridges formed. 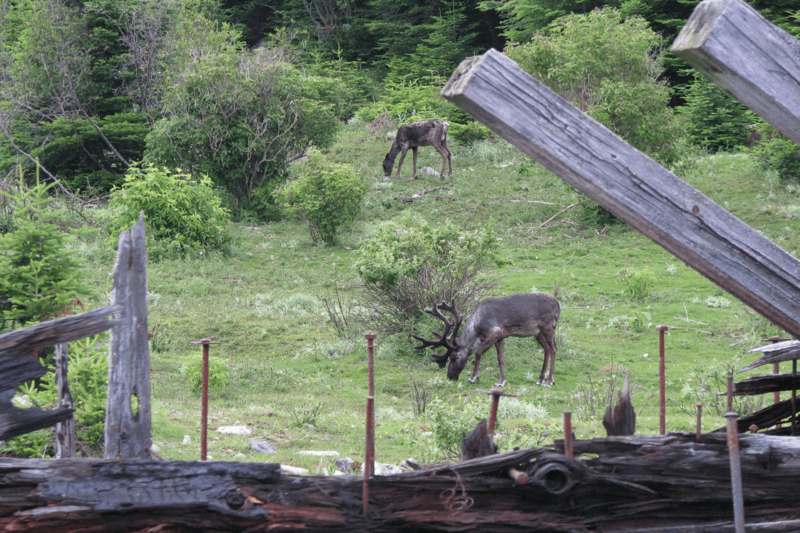 At present, there are an estimated 100 caribou on the Slates, but the population does vary and has risen as high as 600. While the Slates maintain one of the densest populations of caribou in Ontario they are still classified as a threatened species. As such, please do not disturb the caribou and refrain from feeding them. Caribou and the other wildlife are also sensitive to disturbances (i.e. dogs). As a precaution, we ask that visitors keep their dogs leashed while on the islands. The Slates also maintain a healthy population of other wildlife. Including the woodland caribou, there are snowshoe hare, beavers, foxes and birds/shorebirds (herring gulls and great blue heron)—in total, over 50 species of wildlife and 250 species of unique plant life! The Slate Islands are believed to have formed almost 1 billion years ago when a 3 km-wide (1.9 miles) meteorite struck the area creating a 32 km (19 miles) wide impact zone. The impact uplifted a large portion of the land that later formed the Slate Islands. 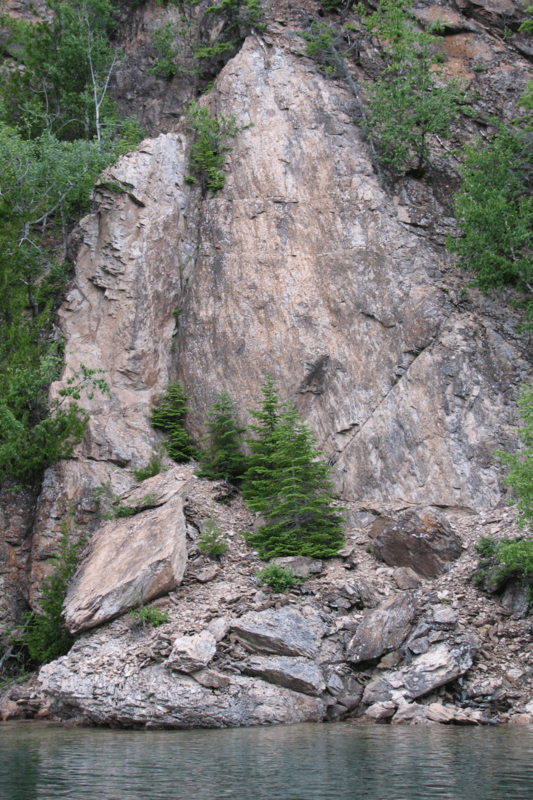 With the sudden and massive release of energy—like those from the meteorite or even nuclear explosions—the shock waves gave way to a very large shatter cone on the Slates, reaching up to 10 m (33 ft.) high—one of the largest in the world! NASA speculates that the shatter cones around the archipelago are a strong indication that a massive collision likely occured, reinforcing the theory of a large meteorite impact having formed the Slates. 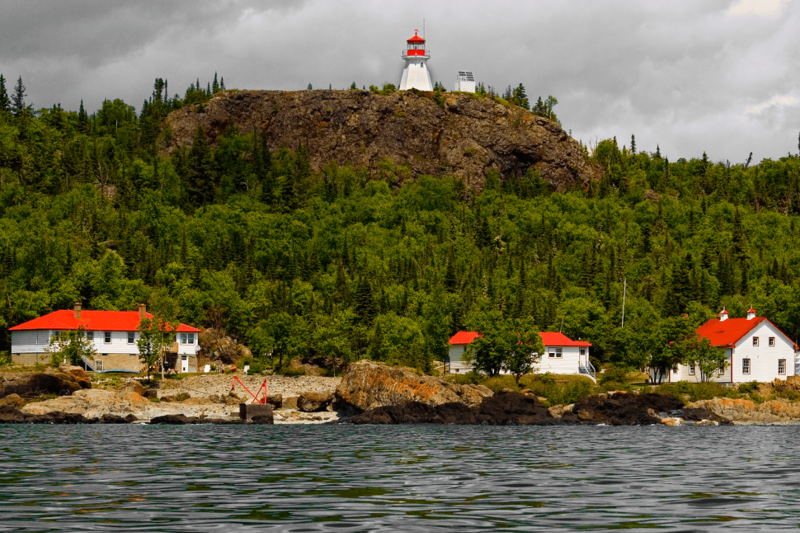 To see one of the largest shatter cones (directly above, second picture from the right) in the world, head over to McGreevy Harbour on the islands. 1. Courtin, C. M., PE. 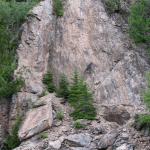 “A Little Natural History of Lake Superior’s Slate Islands.” White Squall. 2002. Web. 7 Nov. 2016. 2. Andrews, Phil. “NASA Studies Meteor Site.” The Chronicle Journal [Thunder Bay] n.d.: n. pag. Print. 3. Dressler, B. O., V. L. Sharpton, B. Schnieders, and J. Scott. New Observations at the Slate Islands Impact Structure, Lake Superior. Rep. no. NASA-CR-205312. NASA, 1 Jan. 1995. Web. 24 Nov. 2016.